There are parts of every job and every situation that we just don’t like. This starts early in childhood where we might love going to school, but hate math class. Or we might enjoy playing soccer, but we dread some of the practice exercises. As adults, if we’re lucky enough to love our job, there are still parts that we don’t enjoy. One of those parts for me is the part where, instead of meeting with client and directly helping families, I have to ask people to support us. Don’t get me wrong, I love talking to people about what we do, educating them on EAGALA-model equine assisted psychotherapy, sharing stories about how the horses have made a huge impact on someone, explaining how the industry of equine assisted therapy works. But then there’s the part where I have to reach out again and again and “make the ask”. Asking for money is uncomfortable for almost all of us. There are so many great causes and it is my job to convince all of you that this is the best cause, the most worthy cause, and one worth believing in. So I’m writing about it. Let me start with why mental health treatment is so important. If you’ve ever experienced the need to seek counseling, or suffered with chronic anxiety or depression, or had a child in your home with a mental illness I know I’m preaching to the choir. If you are one of those people who is blessed enough to never have been directly affected by mental illness, this is for you. Mental illness is something we cannot control. Chronic mental illness is like diabetes. If you don’t get the right help, it will take over and have lasting detrimental effects on you and your family. It will permeate every moment of every day and start to define you. With help, it may stay with you but it won’t become you, taking over your every waking, and often sleeping, moment. Sudden mental health issues might be triggered by a trauma. This could be death of a loved one, divorce, work challenges, family changes. This is like breaking a leg. 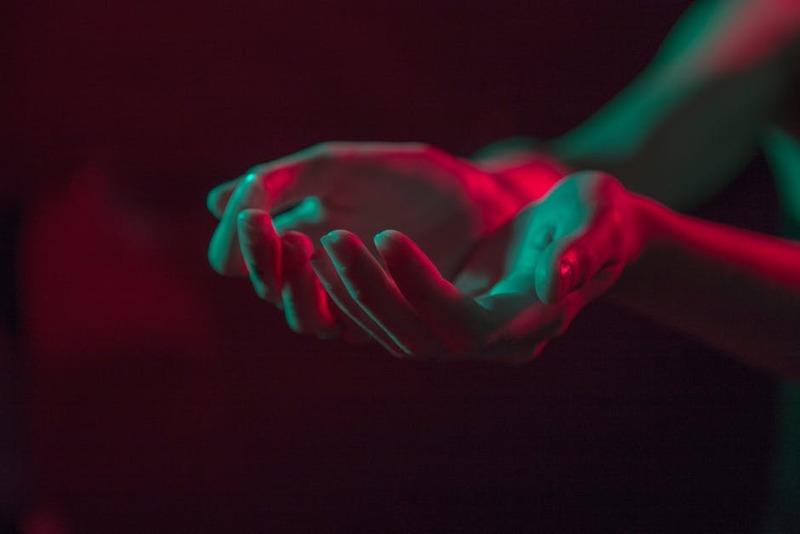 If you don’t get help it might heal eventually, but it also might heal in an ill-formed way. In fact, all of us would immediately tell someone who had a broken leg, “Go to the doctor!” and almost all of us would go. Yet if someone has just lost a loved one, we often say things like, “Time will heal,” or after a few weeks we say, “Get over it.” We can certainly gain strength from our life’s challenges, but if we are unclear in the middle of things, we may feel so broken we can’t see what we may be gaining, and we may not be able to come out stronger on the other side without some objective guidance. Now let’s talk about why EAGALA model equine assisted psychotherapy. It’s another choice. We all like choices because choices put us back in control. If you are forced into one kind of therapy it may or may not be a good fit for you. If you have a choice, you are able to find what works best for you. 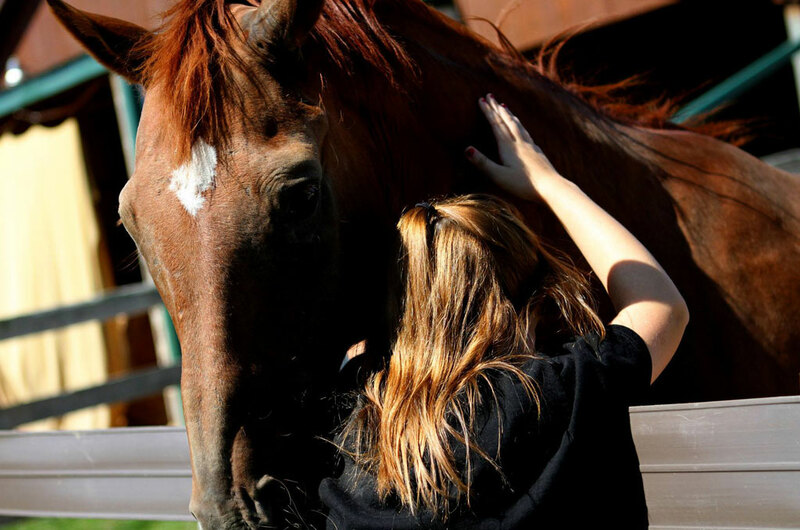 Is equine assisted psychotherapy the best fit for every single person needing mental health care? Of course not! But it is a perfect fit for the people who choose it. Sometimes people are spending so much of their time indoors, in offices, talking about their problems that they are craving another solution. Just this weekend we had a group of women out for a workshop. One of them said she just came to be in the environment of the barn, just to clear her head and get away from all of the devastating struggles she was having. She’s not even sure if she cares to be up close to horses because they intimidate her. But being here at the farm helped her to have some peace. And that was just at a workshop. Imagine what the farm and the horses do for people when they chose to be here and are under the guidance of a goal-oriented mental health provider! And why horses? Because horses live in the moment. They are honest with us. They give us feedback that we can see and feel. They are not eternally forgiving like a dog. They are not always our best friend. But they don’t want to hurt us either. They want to feel safe and secure. They want to have choices. They want to be able to rely on those around them for safety and comfort. Sound familiar? There are endless parallels only they have the part about living in the moment figured out; we don’t. Lastly, why PBJ Connections? 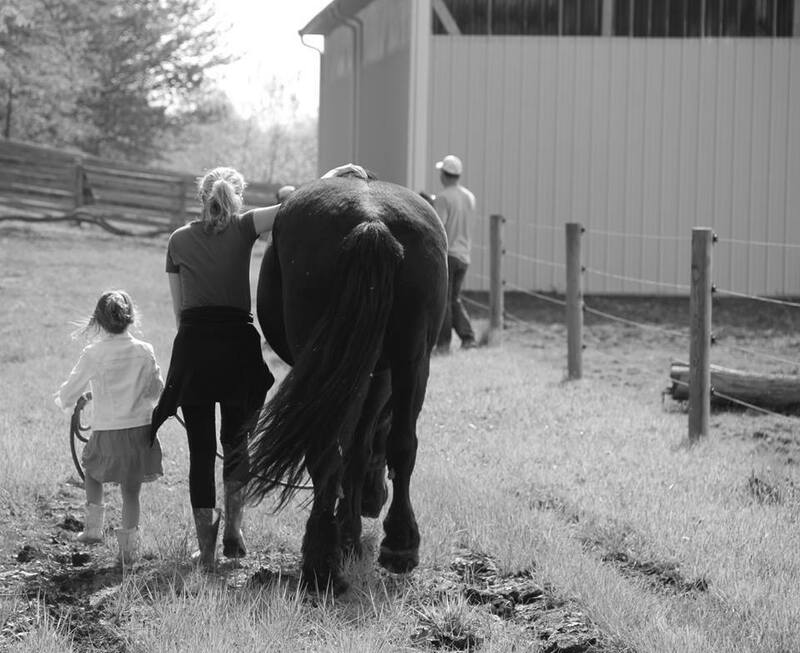 There are a lot of wonderful equine assisted therapy programs out there. Most of them deserve support. 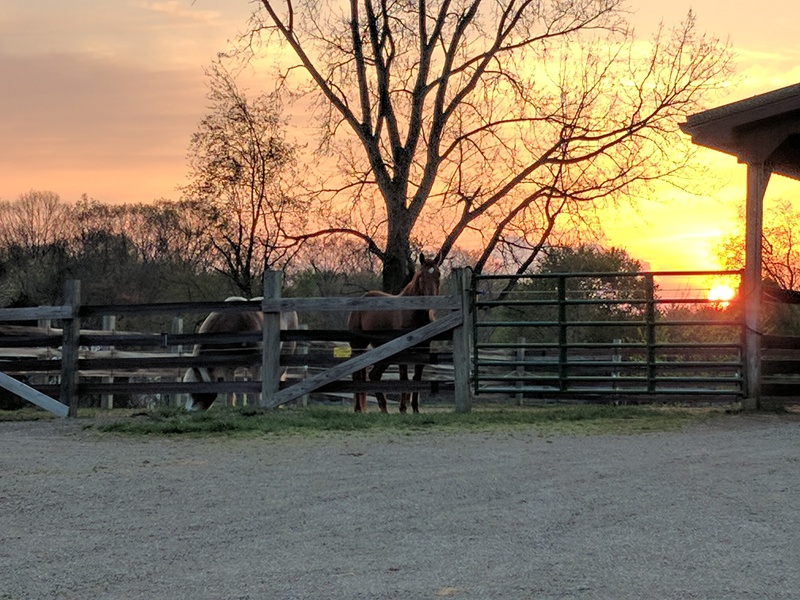 PBJ Connections, however, is the leading professional organization in Central Ohio providing EAGALA model equine assisted psychotherapy. We hired independently licensed mental health professionals, which means they have more clinical experience. We have almost zero turnover in staff. We have been around for ten years and are still going strong. We are partnering with The Ohio State University to focus on research because we know it is needed. We can bill your insurance for mental health services! We know what we are doing because we have stayed very focused on this one area of treatment for all the years we’ve been in existence. We have a wonderful Board of Directors that provides expert, ethical leadership. And we have four locations around Central Ohio. If you need more convincing, come to our 10th Annual Helping Horses Help Kids Charity Event on September 21st and, while drinking fantastic wine and enjoying yourself, you can hear more about us from our staff, board members, honorees and current supporters. Know that the moment you decide to be one of those supports by buying a ticket or making a donation of any size, you allow me another hour to go back to directly serving people just like you, or your child, or your neighbors. Thank you.